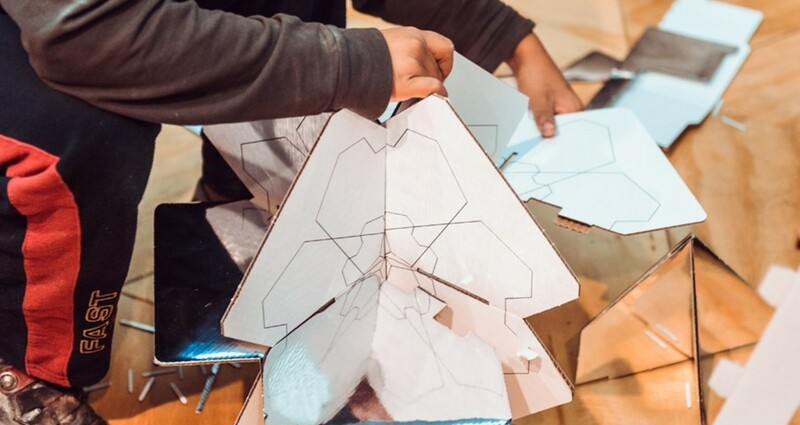 On 2015 The Embassy of the Kingdom of the Netherlands in Albania was applying Collective Paper Aesthetics design toolbox to empower Roma children during Liberation weekend in Tirana. 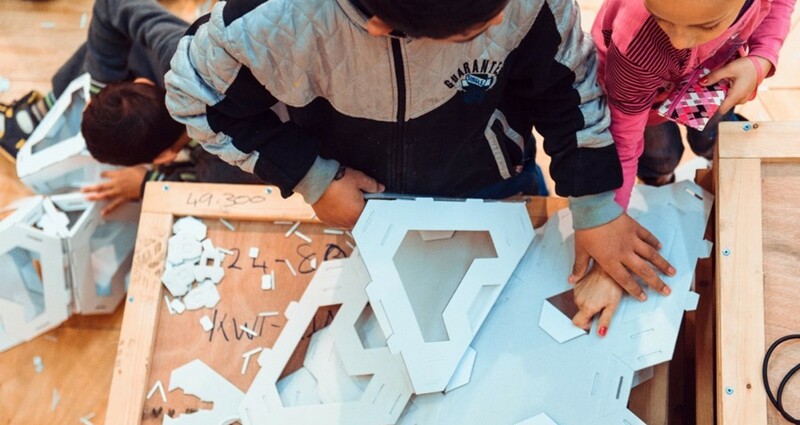 More than 200 children were participating in construction activity at the National Art Gallery of Albania to raise the awareness for Roma children rights to learn and play. Together with Ana Majko the deputy director of ARSIS- Association for the Social Support of Youth in Tirana and ARSIS education team a three days activity for two age groups was build. In the first morning, the temporary playground was hosting 78 children age 6 – 10. 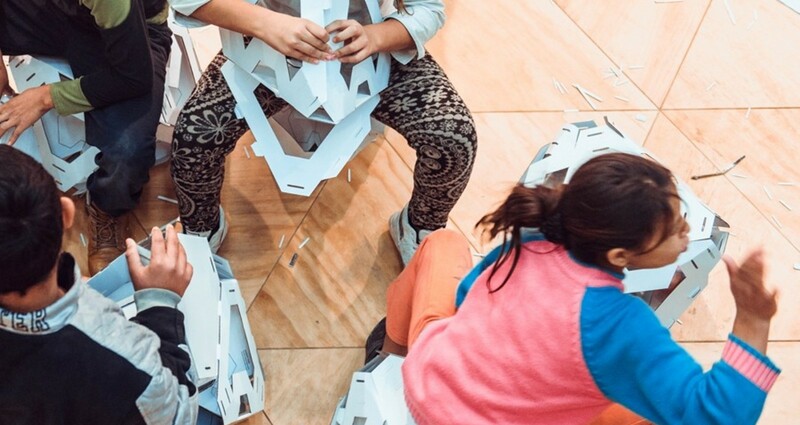 Each child was constructing an octahedral stool made from three pre – cut cardboard sheets. 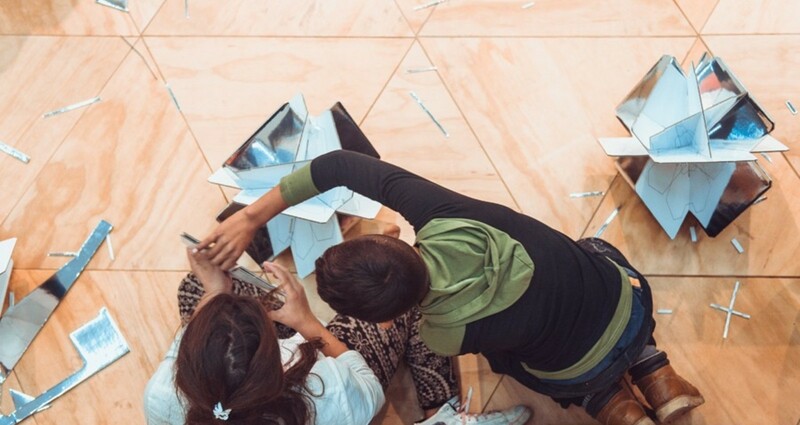 In the afternoon teenagers were joining the activity to put together a Spaceship HEART popup playground made from the stools constructed by the younger once in the morning. 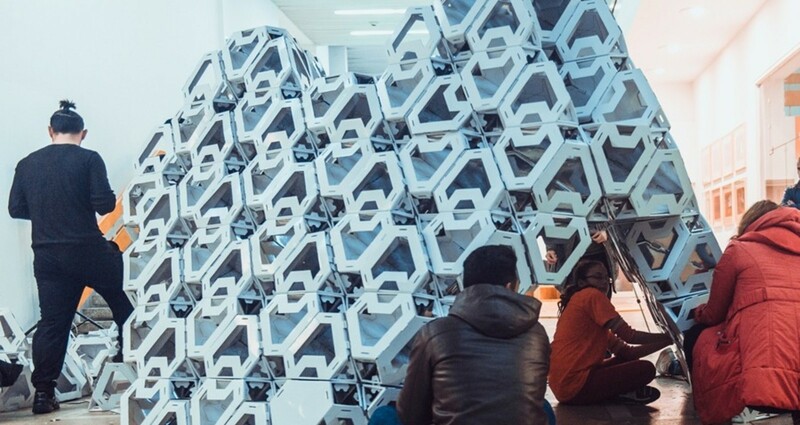 On the second day, the young age group was learning how to create spheres from the same modular system while the teenagers completed the Spaceship HEART structure. 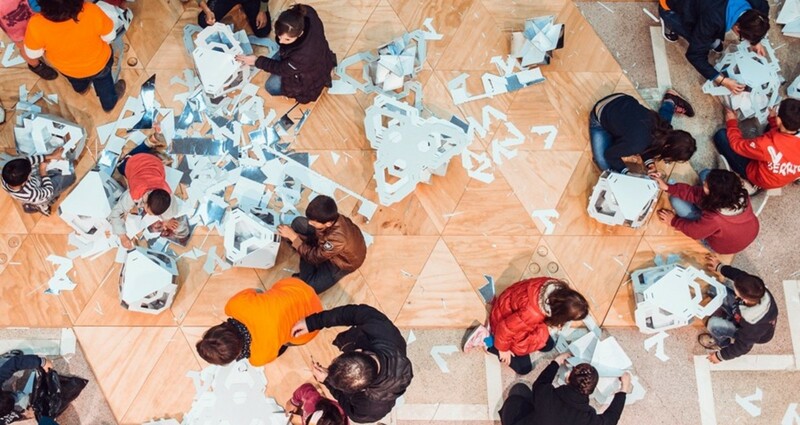 On the third day, the teenagers were guiding the public visiting the gallery during White Night Tirana. In the presence of Albanian minister of culture Mrs. Mirela Kumbaro, the Major of Tirana Mr. Erion Veliaj and the Netherlands Ambassador Mrs. Dewi van de Weerd the teenagers were handing the Spaceship HEART popup space and furnishing to shelters for vulnerable children. To raise awareness for Roma children rights to learn in Albania. Additional challenge was to communicate 3D geometrical subjects with children who never attend school.